First off, to ensure my mother doesn’t have a heart attack after reading the title, no I’m not having a baby. And the reason why I may need to buy a diaper bag is not nearly that exciting. To help explain why, let me tell you a little story…. To set the scene, it’s rush hour on a weeknight and I have just left my office at Yonge and Dundas to catch the streetcar home. As I walk toward my stop I see the streetcar coming so I rush over and immediately look inside my tote bag to quickly find my metro pass so I can get on. It’s fallen from the small pocket I normally slide it in after I use it in the morning likely now at the bottom of my tote. It’s one of those -25 degree days so I take off my large extra warm mittens and stuff them under my arm while holding my bag in my hand and try to use my other hand to search. I’m digging through a virtual black hole of crap from my day….a book, wallet, extra scarf, my lunch bag full of all my Tupperware containers…and a slew of other things. The streetcar is loading up and I’m letting people go by me in line while I search…until I’m the last person left get on. So, in my haste to find it and get on, I yanked my lunch bag out so I can see better and it accidentally tips over and everything inside goes flying out. A fork lands at my feet, an orange I didn’t eat at lunch rolls under the streetcar, there are Tupperware containers rolling down Dundas Street, and I’ve dropped my mittens in the slush. 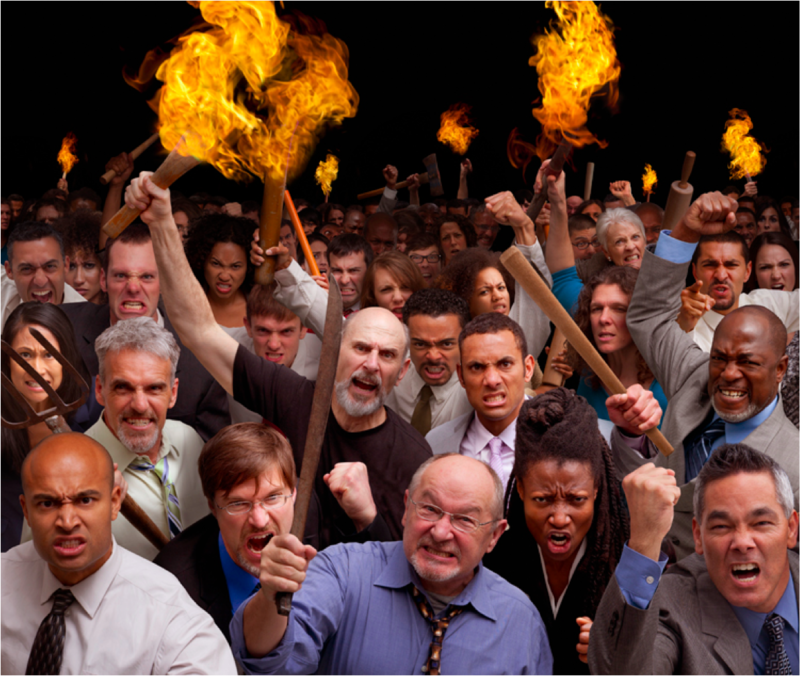 Meanwhile there are a hoard of angry commuters waiting for me to get my sh*t together and get on so they can go home….. The driver would have left without me, but first she needed to ensure that none of lunch containers had rolled onto the tracks. Awesome. So needless to say by the time I got home I was determined to find a tote bag with built-in organizing features. Not a couple of crappy small pockets on the sides and a big vast crater of space in the middle. That doesn’t cut it. I want a bag with lots of different sized pockets, compartments and separated spaces but that actually looks like a nice handbag. DO YOU KNOW HOW HARD THAT IS TO FIND? 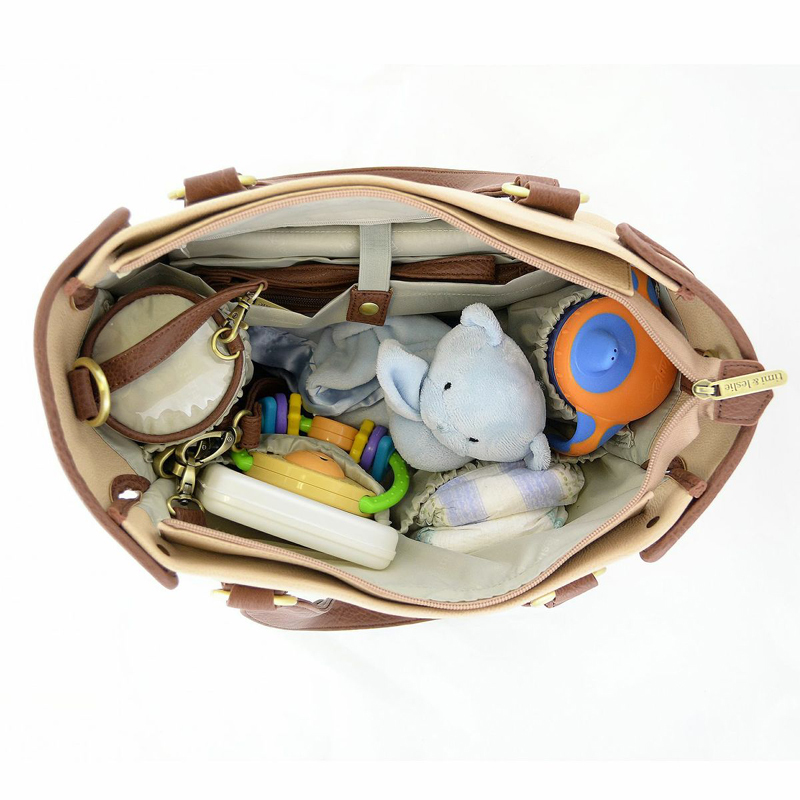 Then I had a brain wave…new mom’s need bags to hold a variety of things. So I started look at diaper bags, and Eureka! They are much more organized than almost any standard tote out there. And these days there are tons of designer styles that actually look like a typical handbag…..but functional. Honestly, I take issue with the fact that much of the handbag market appears to think that only new moms have a use for an uber-functional yet attractive bag. Why are there not more companies capitalizing on this? So now I challenge you to look at the bags below and guess which ones are diaper bags and which are not…..WITHOUT looking at the links below the photo. (Here’s a hint: there are a lot more diaper than non-diaper bags in this round-up). Clockwise from top left. Lo & Sons O.G, Storksac Olivia Diaper Bag, Timi & Leslie Dawn diaper Bag, Timi & Leslie Charlie diaper bag, Kate Spade Grove Court Diaper bag, Dagne Dover Tote bag, Twelve Little Allure Tote Diaper Bag, Timi & Leslie Rachel Diaper Bag. All but the top left and bottom left are diaper bags! The non-diaper bags are by two companies that are doing the organized tote thing really, really well: Dagne Dover and Lo & Sons. They both make very attractive practical bags with awesome organizational features. But, in terms of choice the diaper bags win out. You just may have to swallow your pride when someone asks you who made your bag and you have to respond with, “Oh, it’s the latest from StorkSac”! But let me tell you, the Cole Haans, Marc Jacobs and Coaches of the world just aren’t making bags that look like this inside. Lots of compartments, lots of pockets, soooo much awesome. Pretty sure I’ll be putting my order for one of these super organized lovelies any day now. Ok, I totally just pictured you on Yonge Street, chasing your orange rolling down the tracks. Awesome post. As a former diaper bag toting mom, I completely agree, they are an organizing gem. My old diaper bag was pink and even the husband didn’t mind carrying it around as it was just so functional and he knew where to find things. I’d buy any of those bags listed above.